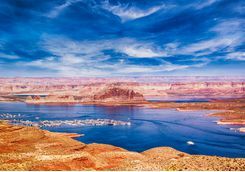 An introduction to the bright lights of Vegas, contrasting with numerous adventures in some of the USA's must-see western National Parks. 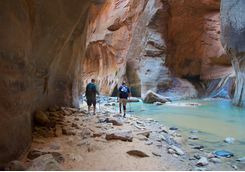 Hike trails amongst beautiful scenery, explore other worldly rock formations, walk between tall eroded pillars and underneath archways, view miles of scenery from a glistening lake and raise your adrenaline levels with rock climbing, water sports and a helicopter ride over the Grand Canyon. 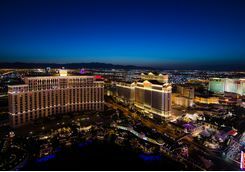 Arrive at McCarran International Airport, where you can grab a taxi for the short ride to your swish room at the Wynn hotel, themed botanically and surrounded by trees, a waterfall and greenery - something of a rarity in the desert city of neon and glass. 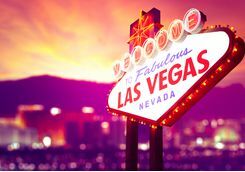 Begin your trip with a trip to a couple of Las Vegas' museums, where you can learn all about the rich history of the area via the exhibitions of old signs at the Neon Museum and venture into the world of organised crime at the Mob Museum, portraying the battles of law enforcement against the mob. 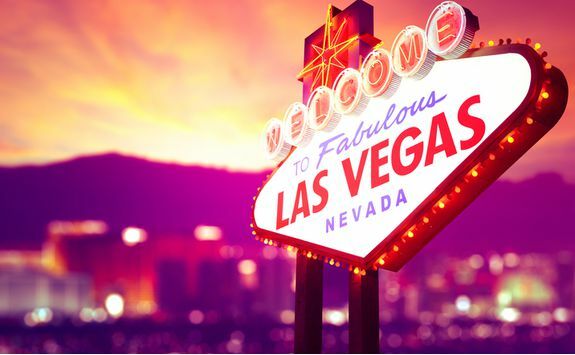 Once you've soaked up Vegas' past, it's time to celebrate the present with one of the best shows in town; from Cirque to Soleil to Britney to Jersey Boys, we can book your tickets in advance. 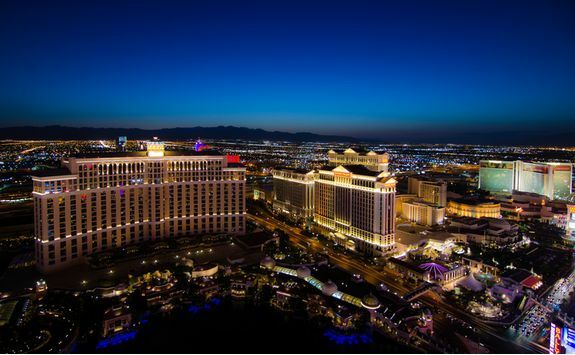 Spend your time in Las Vegas soaking up the vibrant atmosphere, visit local attractions such as the Volcano at the Mirage, stroll the Bellagio Conservatory and Botanical Gardens taking in the spectacular designs. 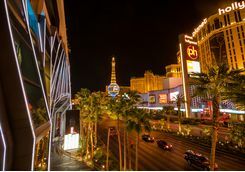 Walk the bright streets in the evenings, with the sky lit up by glowing signs and glittering buildings and book yourself in for a poker class before putting your game to the test in one of the casinos. 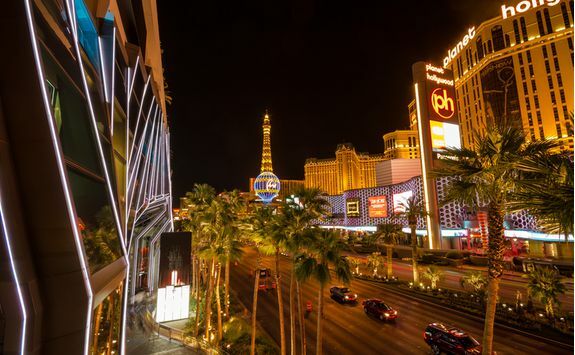 For those who love to shop, head to The Forum which houses the biggest names in fashion, over 160 of them to be precise. 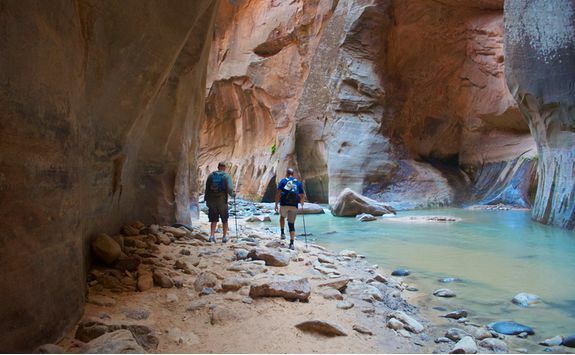 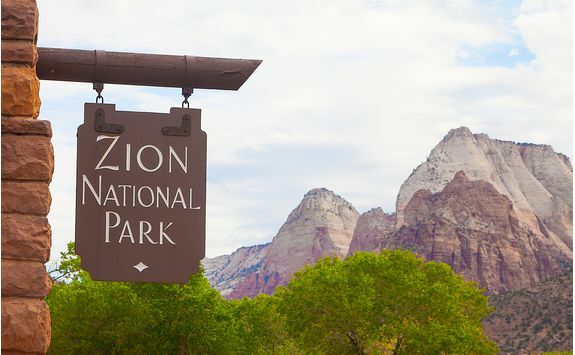 Pick up your hire car today and swap the lights of Vegas for the wilds of Zion National Park. 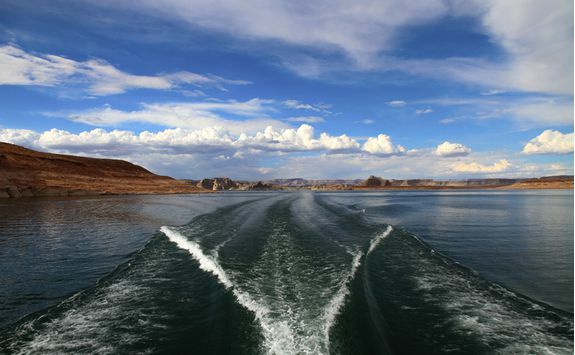 Your journey will take three hours and you will be greeted by the beauty of mountains and scenic landscapes. 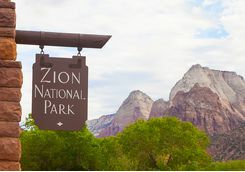 You will be staying at Zion Lodge , which is located in the park itself next to fascinating rock formations, and currently the only lodge to boast such a fantastic location. 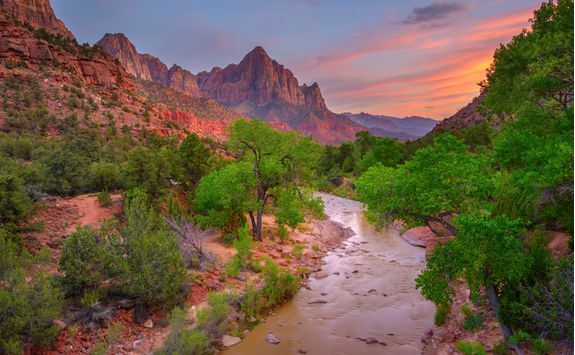 Opt for a guided hike in the park to suit the level of your own experience and take in the breath-taking views which can be experienced on all trails in the park. 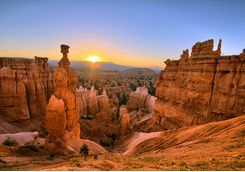 Your next destination is two hours' drive and features Hoodoos, pillars of rocks which have been formed by wind, ice and water erosion. 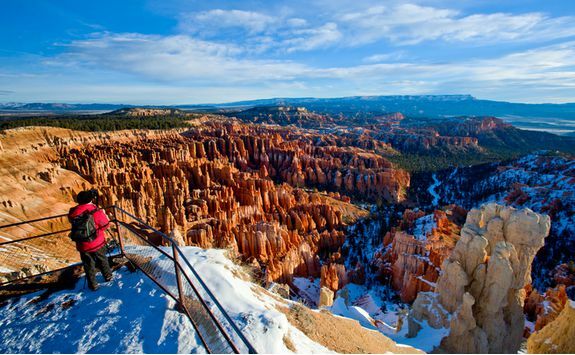 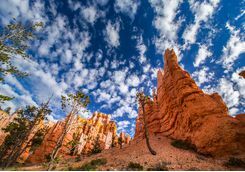 You will be staying at Ruby's Hotel, just a mile away from the Bryce Canyon National Park and the ideal base for your adventures. 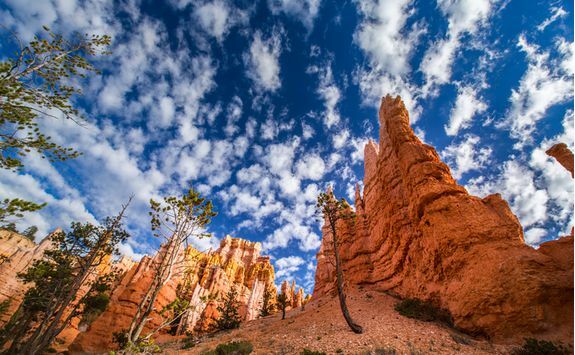 The pillars are best explored on foot following the Rim Trail hiking path and beautiful photographs can be captured at Sunset Point in the evening. 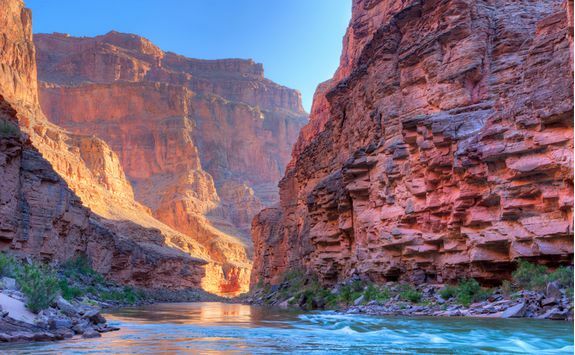 As you explore these natural amphitheatres, look out for wildlife, the Peregrine Falcon can be seen swooping between the pillars and the Canyon is home to 59 species of mammals, including Antelope and the Unita Chipmunk. 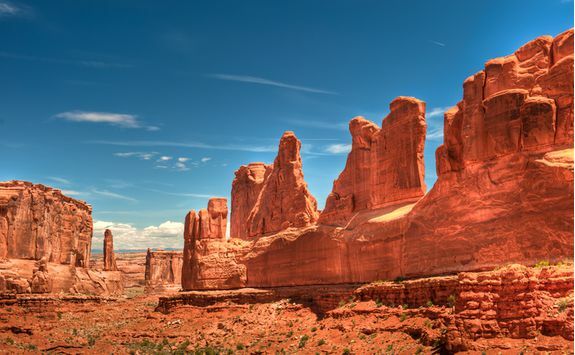 From pillars to arches, your next stop is a four hour drive and the longest distance of the trip. 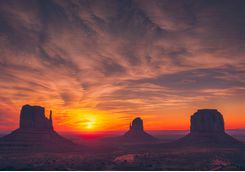 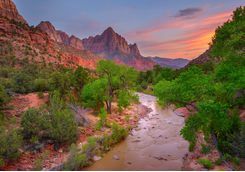 On your arrival, settle into the Sorrel River Ranch Resort and Spa, set on the banks of the Colorado river, and offering luxurious accommodation within easy reach of both Moab in Utah's Colorado Plateau, and the Arches National Park. 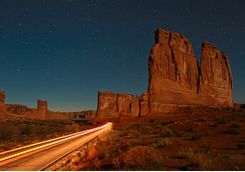 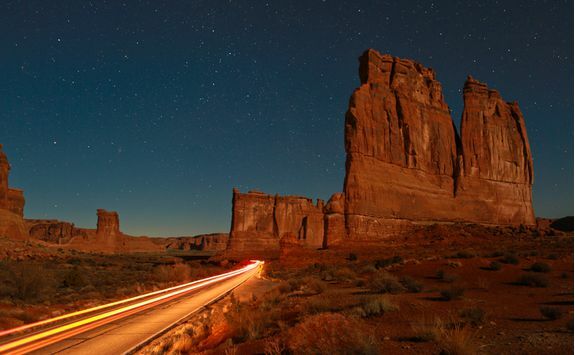 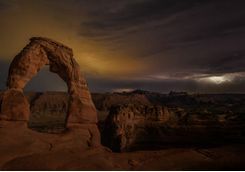 The red rock of Arches National Park almost glows in sunset light, making for perfect photo opportunities, while the 40 mile scenic drive climbs high on to the plateau and crosses a vast landscape of incredible views including distant snow-capped mountains. 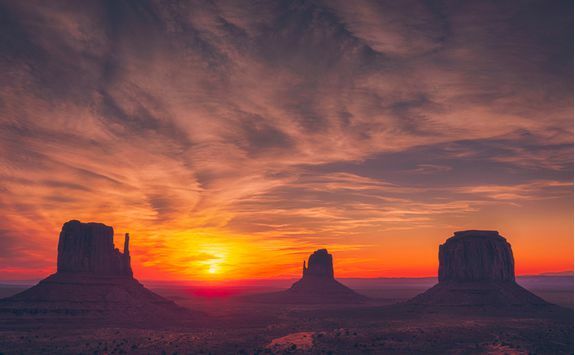 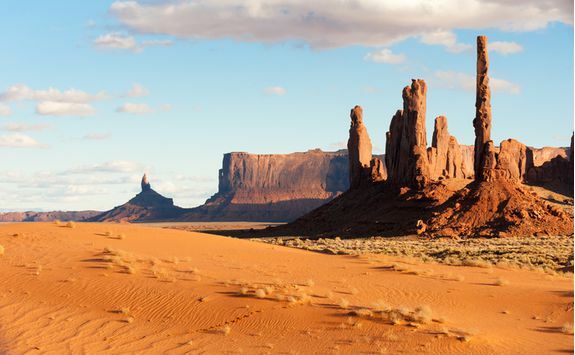 Today you'll head to Lake Powell, but not before taking a slight detour to Monument Valley Navajo Tribal Park on the way. 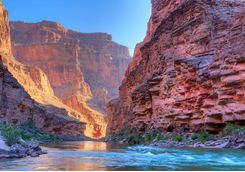 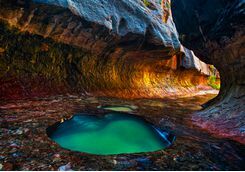 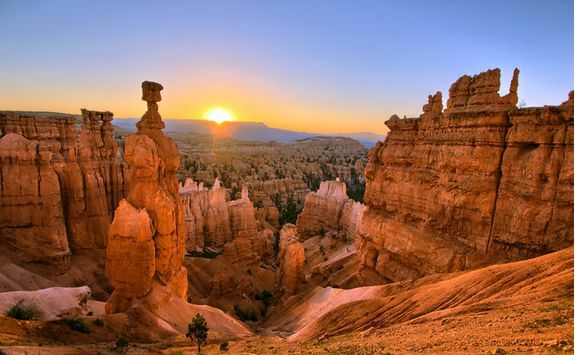 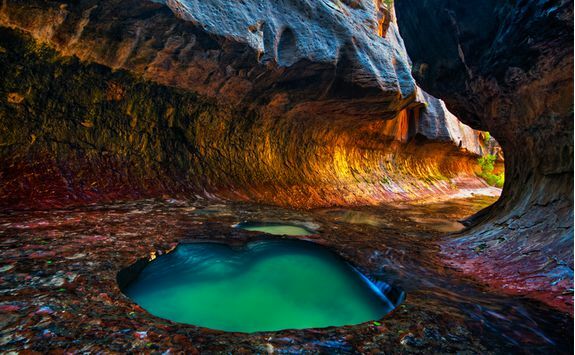 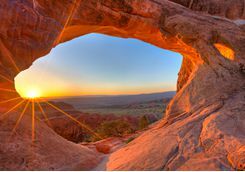 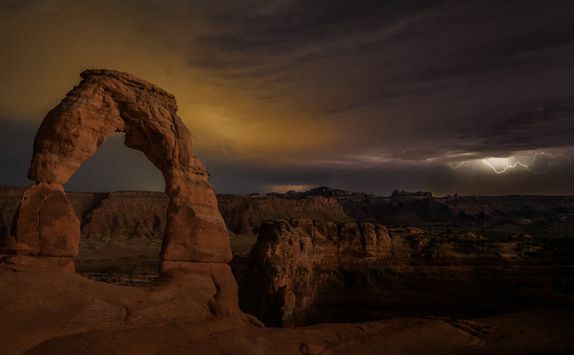 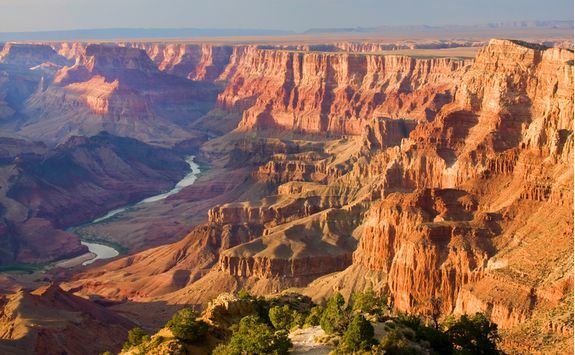 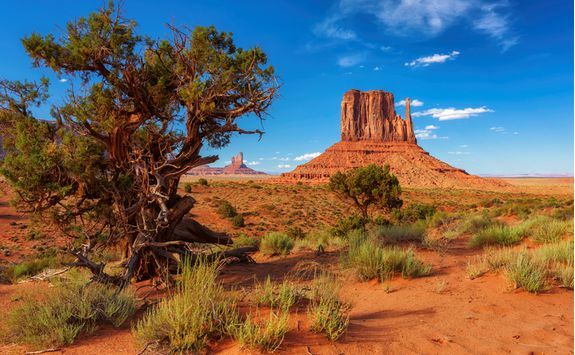 The park straddles the border of Arizona and Utah, and is easily one of the most photographed US National Parks. 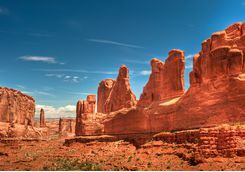 The park is dominated by deep red mesas and sandstone towers, some reaching the heady heights of 1,000 feet. 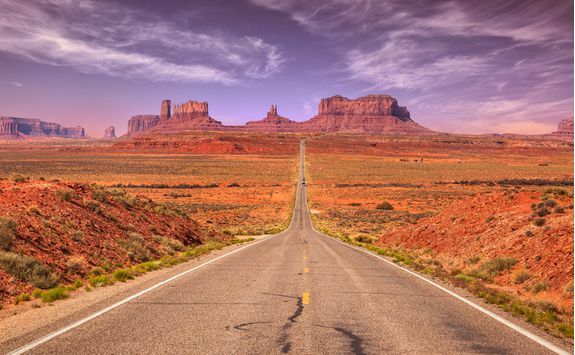 From here you'll make your way to your hotel, which will be your base for the next few days. 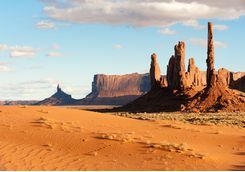 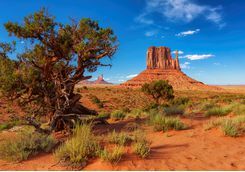 This impressive backdrop is often used as a film location for Westerns, so you may find yourselves being roped in as a extras! 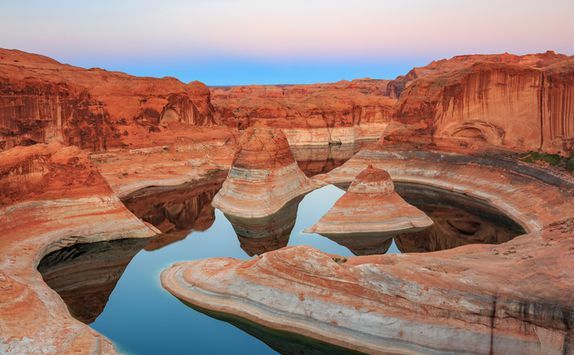 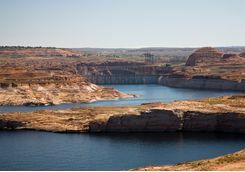 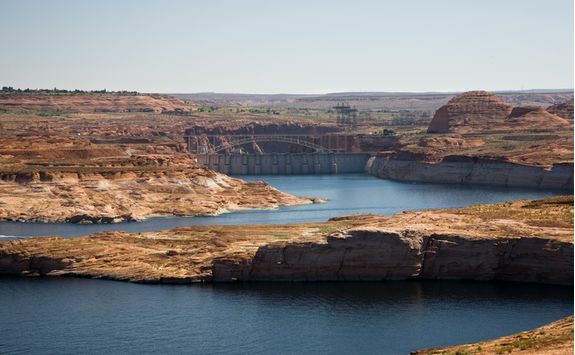 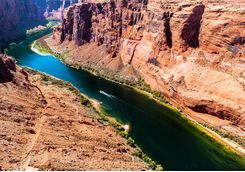 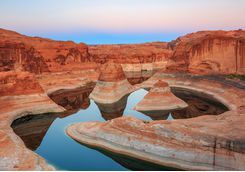 This morning you will swap desert for water and head to this man-made lake, created in 1963, when the Glen Canyon Dam held back the water of the Colorado river, creating a vast blue lake surrounded by red hued sandstone walls. 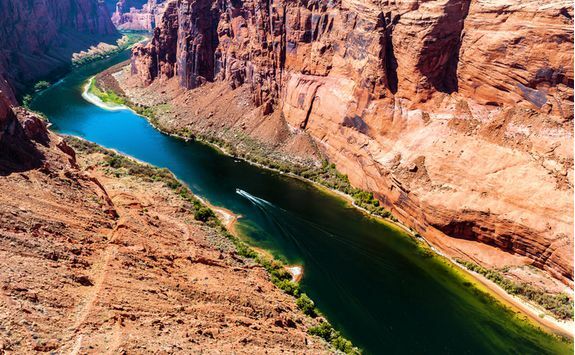 The whole national park encompasses over a million acres so there is plenty of space to roam, though the stunning lake takes centre stage, with most travellers taking advantage of the many water sports on offer here. Spend your day on a scenic boat tour of the lake and feel the breeze in your hair as you take photographs of the passing scenery. 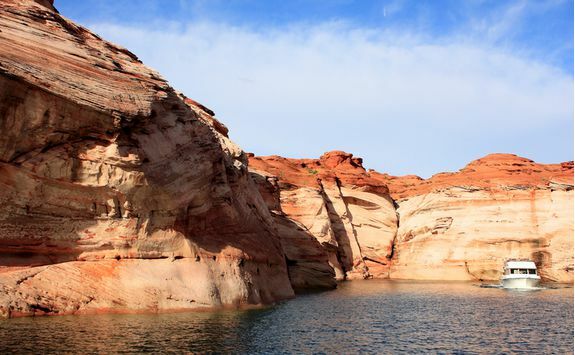 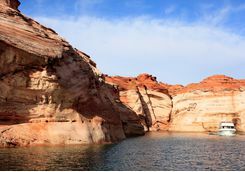 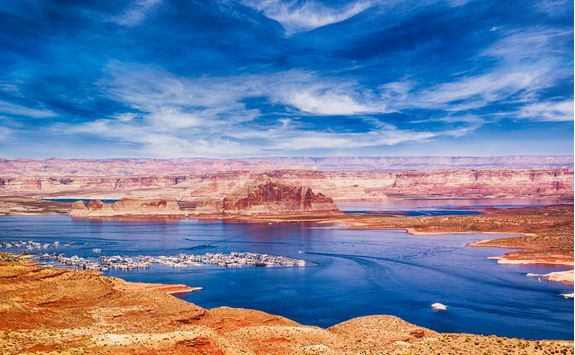 With a guided boat tour you can take in the history and geology of Lake Powell or for a more romantic experience, cruise on the lake at sunset and watch the sky glow against the shimmering water. 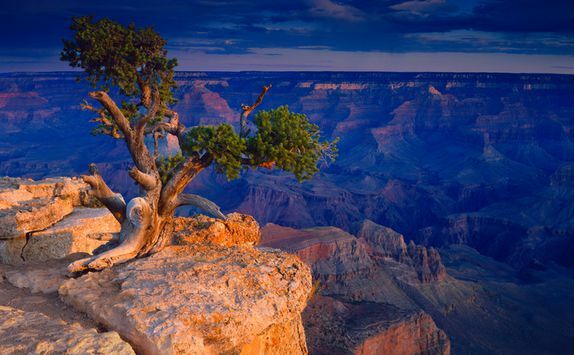 Continue on to your final stop, at Yavapai Lodge, located a mile from the Grand Canyon's southern rim. 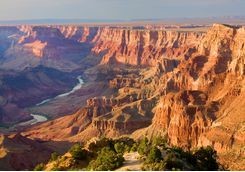 Measuring 277 miles in length, up to 18 miles wide and over a mile deep in part, the best way to take in the sheer scale and incredible beauty of this national park is from the skies. 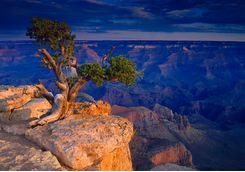 You will be collected from your Lodge and taken to the helicopter terminal to begin your over land tour. 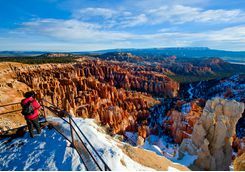 Once back on the ground, you can also head to one of many lookouts around the canyon rim that will provide that perfect panorama to complete your experience. 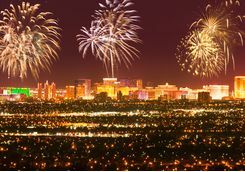 Return to Las Vegas and stay in the Wynn for your final night in the USA. 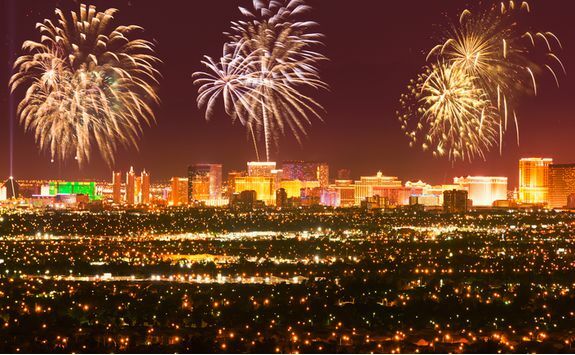 We'll reserve a table at one of the city's finest restaurants to end the trip in style. 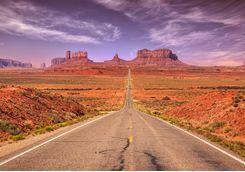 You will then drop your car off at the airport and catch your international flight home.